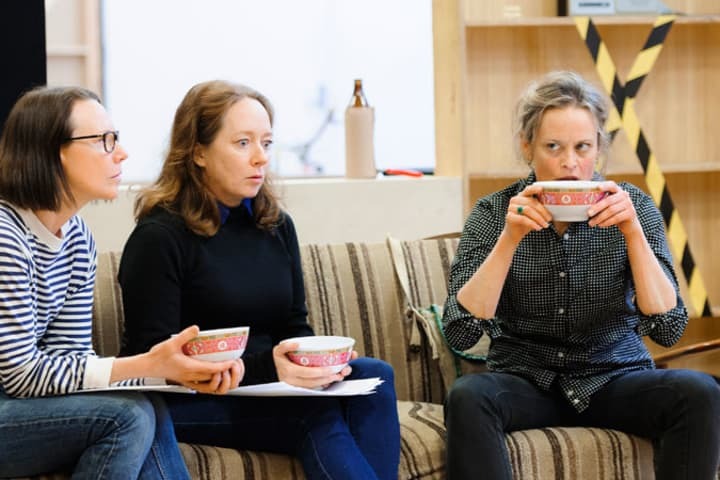 We speak to Di and Viv and Rose director Marion Potts about the Australian premiere of Amelia Bullmore’s new play. What was it about Di and Viv and Rose that made you want to direct this play for MTC? Well, firstly, it passes the Bechdel test. That is, there is more than one scene in the play that involves two women, who aren’t speaking about a man … it’s a perspective on the world that we don’t often experience in the theatre. It sheds a different kind of light on friendship, opportunity, maturity, human values – subjects that affect us all. This is a really layered piece of theatre tackling several weighty themes that are powerful, but ultimately common storylines in our lives. Were there any themes in this narrative that really stood out to you above the rest? They are very powerful and the genius of the play is that these don’t make for a heavy, unforgiving night in the theatre. There is real talent in a playwright who is able to hold the gaze of these themes uncompromisingly, but in a way that harnesses our hope rather than our despair. And who gives us lots to laugh at along the way. No one theme resonated for me more than another, because they’re sublimated by the characters going about the business of living. They’re a function of what happens to these women – so at no time do you feel the playwright’s thematic agenda, or didacticism. If anything, the characters’ responses and the way they navigate the events feel to me like a greater focus – resilience is a bigger theme. Female friendship is at the core of this work. What attracted you to these characters and why do you think their link to each other is so moving? Female friendship is often mythologised. Women have needed to represent positive images of themselves, so understandably it’s been depicted as indestructible and unequivocally positive. This friendship is not perfect. The strength of the friendship isn’t due to its solidity, so much as its flexibility – its ability to bend and move with the gale forces that hit it. It survives despite these and because of the three individuals involved, because of their complementarity, rather than their commonality. Having said that, removing one element from the equation puts it at real risk. This is what is moving. What are you hoping to bring out of your cast in this production? They are all meaty characters individually but they also need to function as an ensemble, as a group. It’s a delicate balance to assert your own characters’ presence on stage but also to be there for your colleagues, to allow them to assert their needs and respond accordingly. Listening is as important as speaking in this play. And they are nothing without each other. 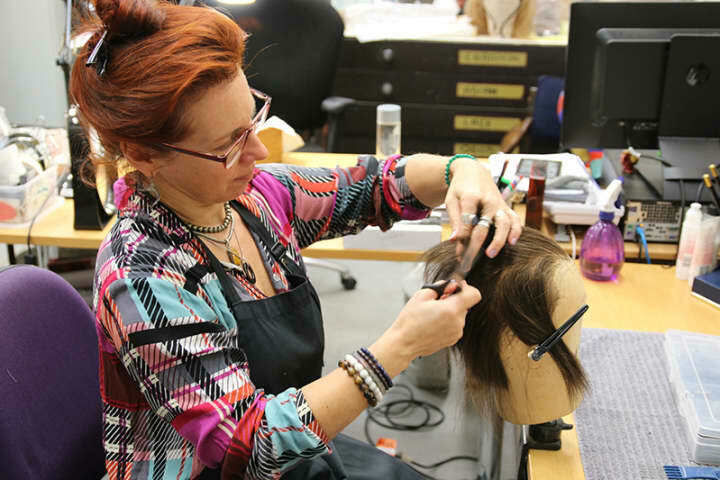 Viv’s character is determined to seize the career opportunities open to her generation, which she says weren’t open to the group of women who came before her. 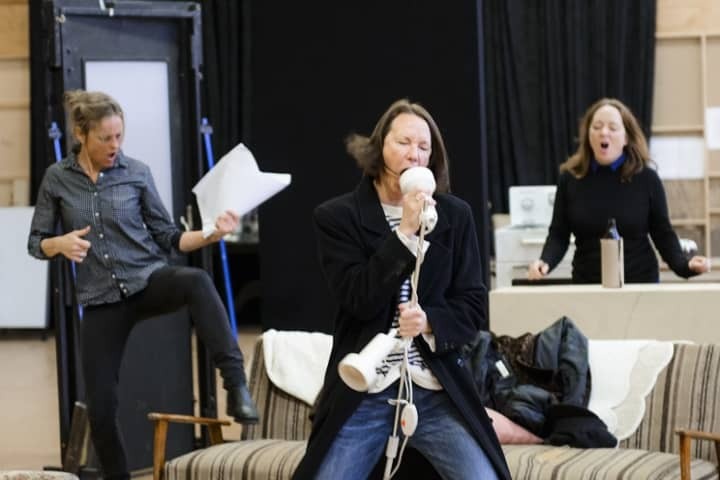 You’ve played a major role, leading by example, for women working in theatre – does this play have a feminist message to convey, and if so, what is it? The play isn’t black and white and it’s perhaps the sophistication of the playwright’s own brand of feminism that makes it so: it reveals the complexity of its characters, but also the complex repercussions of their choices. Viv does seize the career opportunities at hand, but she also cuts herself off from any intimate relationship. Rose’s decision is true to herself, but it entails huge sacrifices. All they are doing is following their heart and listening to their instincts, but somehow that’s a bigger deal for women, it’s a harder road. As for Di, what happens to her is simply the result of being a woman. So if there is a message, and it certainly aligns with my own beliefs, it’s that the answer is not to stop doing, or to short-change your own agency; it’s to keep making choices, while working on those systemic things that will make their consequences more equitable, and to support each other until they are. 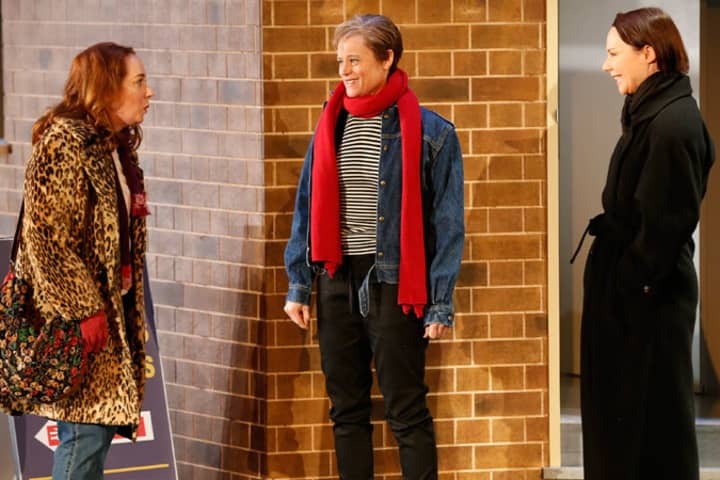 There are some really challenging staging elements in this production, for example the quick scene transitions and spanning three decades with the same three actors. Do challenges like this compel you further as a director? Those sorts of creative challenges are always great to sink your teeth into. In the end, these come back to what attracts us to theatre as a medium: how theatre’s unique features can be marshalled to tell this story in a way that no other medium can. Cinema and television have changed the way we relate to the narrative form, and theatre has responded to this, not by digging in, but by embracing it as a new creative challenge.